Nine Network has picked up another New Zealand drama, Brokenwood Mysteries. The 4 x 120’ drama stars Neill Rea as a city cop who escapes his fast-paced urban life to solve crimes in the rural backwater of Brokenwood. 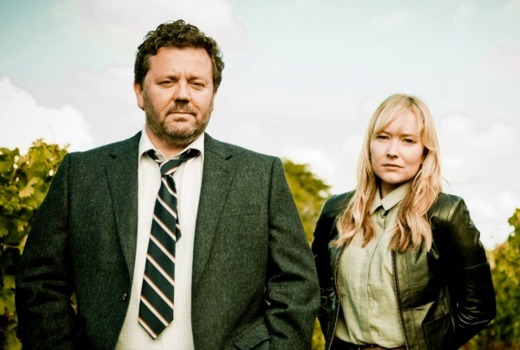 But, as he watches over the quiet, community-spirited country town alongside local partner DC Kristin Simms (Fern Sutherland), Shepherd soon finds that beneath its peaceful veneer, buried secrets, treacherous lies and murder are curiously at home in Brokenwood. Brokenwood Mysteries comes from the producers of The Almighty Johnsons and Outrageous Fortune. It has also been sold to France, Russia, Denmark and Ukraine. In 2013 51% of the first release Australian drama on the Nine Network was from New Zealand, compared with 7% for Seven Network and 4% for Network TEN. Nine played almost all its NZ dramas on its multichannels GO! and GEM which can now count first-run drama towards its overall content quotas for the first time. Under the Australia-NZ Economic Trade Agreement, NZ content be claimed as “local content” despite the move being criticised by unions some years ago. Roughly 8 million dollars in lost revenue to the Australian economy, not taking into account the befits associated with an 80 person Australian crew working for 14-16 weeks. Fix it up Malcolm . Is that Russell Crowe’s long lost brother? It’s not 2013, Nine is showing House Husbands, Love Child, Gallipoli and House of Hancock this year, which would make the local drama quota anyway. Borkenwood is being bought to make the local quota for secondary channels. It is replacing repeats of Australian content which they would have used for that otherwise. Brokenwood still counts towards Nine’s first run local drama as there is no requirement for first run drama on multichannels. Local content quotas on multichannels can include repeats. By that logic the networks could run NZ news bulletins – because NZ is Australian. That is correct, so far as the current ACMA regulation is concerned. FWIW, Prime NZ’s TV news bulletins came out of Sydney for years, until earlier this month. Love to know what happened to the rest of Step Dave, Gem only showed 1 episode, late at night, and then “gone” due to poor ratings, what even 10:30pm count for poor ratings eh? I just deleted the first episode of that last night, unwatched. No sign of the show returning so can’t keep storing it. I never bother getting invested in new Nine shows as they cannot be trusted. This was quietly screened on GEM over summer non ratings. What a horrific situation for Australian drama on Channel 9. Nine should invest in a good soap instead to boost their quota to help serve as another training ground for new production personnel.